A nice add on for a Burns Supper. Pack of 20. 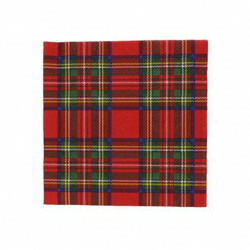 Pack of 20 Royal Stewart tartan napkins..